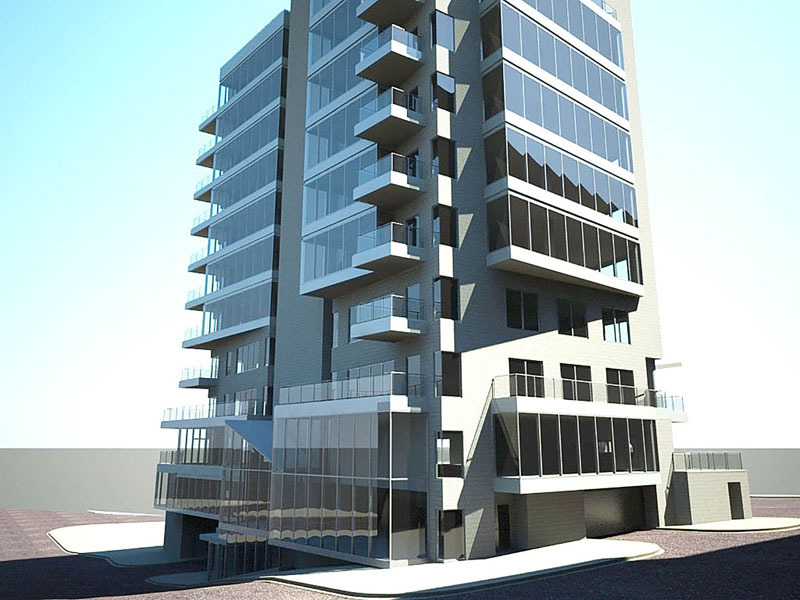 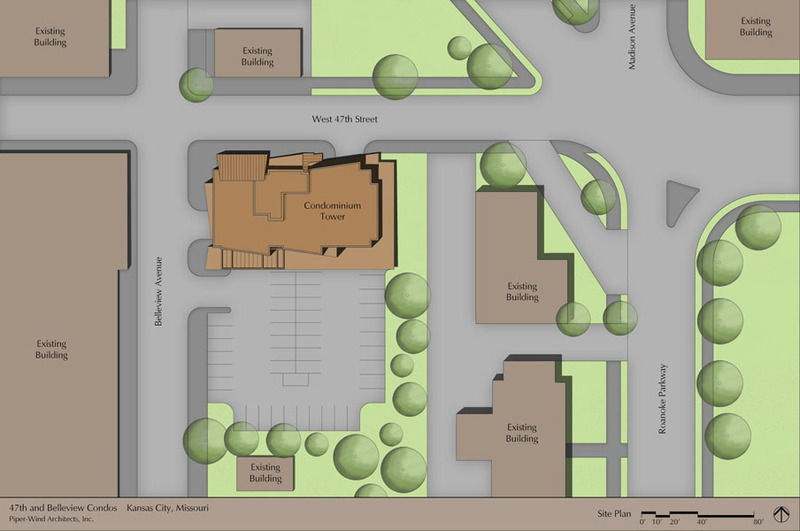 Sited atop the summit at 47th and Belleview Streets, overlooking the Plaza to the east, this proposed 11 story structure would command the western edge of the Country Club Plaza, Kansas City, Missouri’s prominent retail and restaurant district. 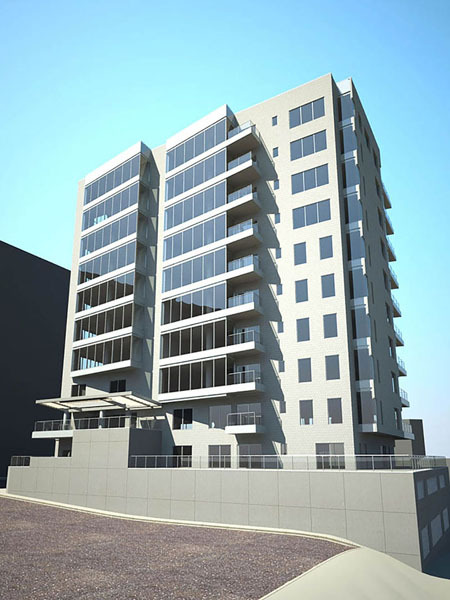 The building design comprises 24 units ranging in size from 1,400 square feet for one bedroom units to 3,800 square feet for the two penthouse locations. 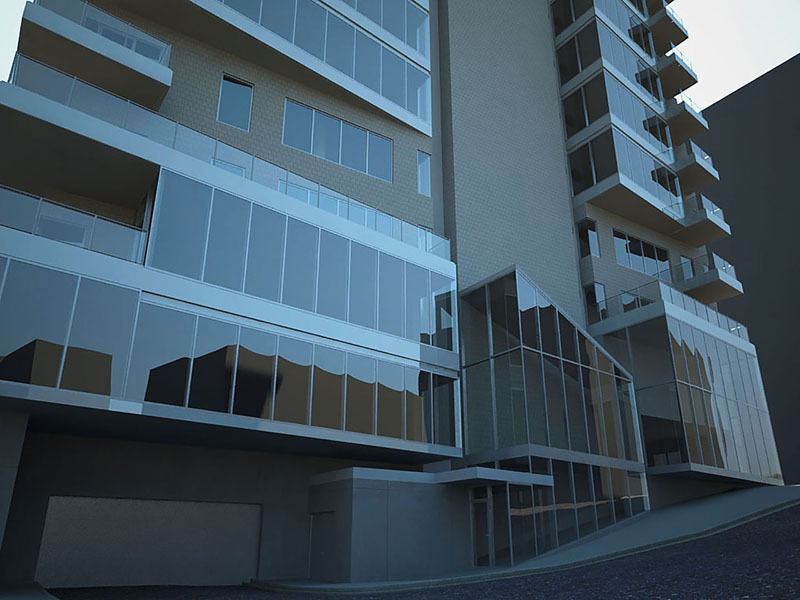 Two elevators provide access from the lobbies and parking levels to the living units above. 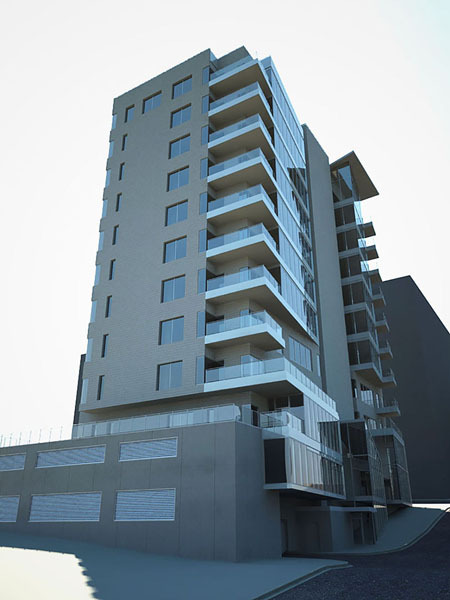 Each unit is planned to have outdoor decks finished with sustainably harvested Cyprus planking. 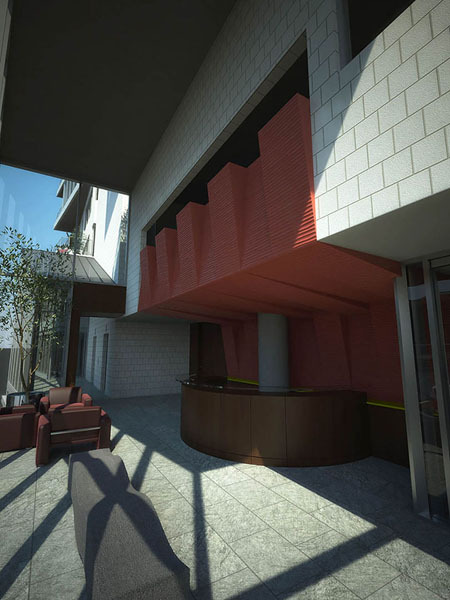 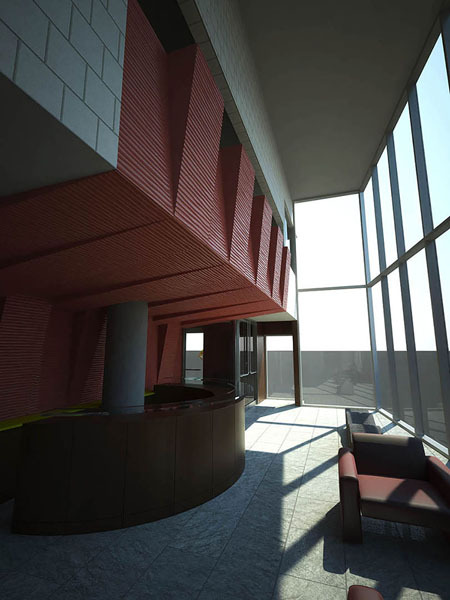 In addition to two levels of enclosed parking the building design includes 1400 square feet of club area for parties, including an outdoor deck above the Belleview street level and a swimming pool with operable shading devices on the south side of the building. 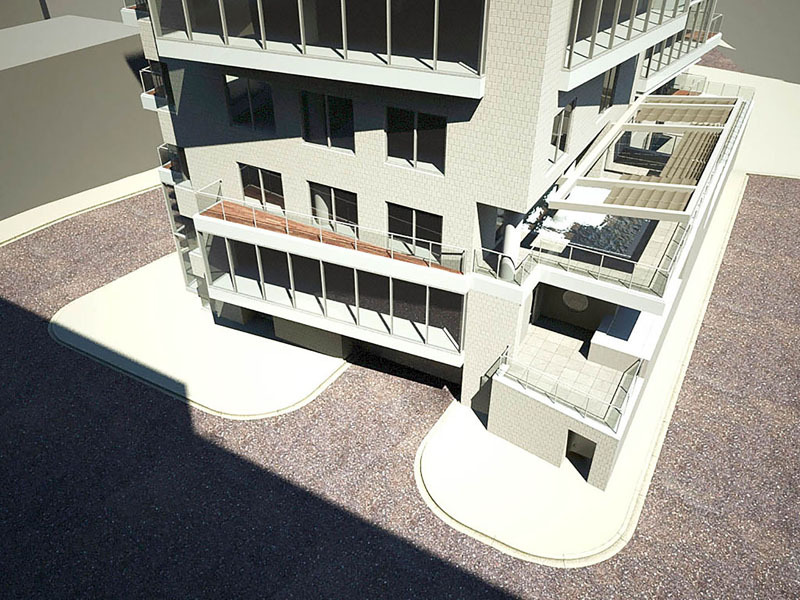 A level dedicated to storage spaces for each unit is also provided above the parking deck levels.